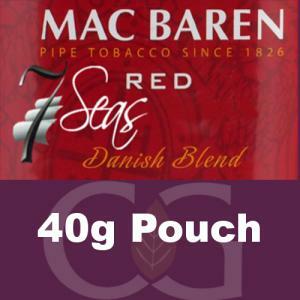 Mac Baren Tobacco Company was established as Harald Halberg in 1887 and is now the largest family-owned tobacco company in Denmark. Today is is run by the 4th generation of the Halberg family. When you go exploring in the world of Mac Baren tobaccos, you enter a world full of mysticism and good old-fashioned Danish craftmanship. Every Mac Baren blend is the result of a special and individual recipe - recipes which are such closely guarded that only a very few people know their exact details.